Unlike real estate, gold is divisible and is highly liquid. It is easy to bequeath and less cumbersome in terms of transferability. Given the demographic shift and social security requirements during old age and the stock of gold ornaments, one can think of using reverse mortgage instruments to utilise the yellow metal and provide pension annuities to individuals and survivors, says R. Vaidyanathan. THREE important aspects of our emerging demography require a critical consideration. The longevity of people, particularly the middle class, is rising. The joint family system is in a decline and there is no generalised social security system. Combined with this, is the fourth issue of changing lifestyle of elderly in terms of travel, entertainment, and so on, which are expensive. The number of elderly is increasing and expected to reach around 9 per cent of the population. Table 1 projects the elderly population in the coming decade. It shows that the current level of nearly 7 per cent of the population (around 75 million) is expected to move up to 9 per cent of the population in another ten years. The state’s ability to provide any generalised social security is non-existent, since it is not in a position to meet the pension obligation of its own employees. The savings of most of the middle-class is inadequate to provide for their old age, particularly for the widows. In such a context, it is imperative to think of innovative solutions taking into account our own ethos and cultural specificities. Housing and gold are the two major assets that the middle-class owns. Even the poor own the latter in small quantities as ornaments. India has been one of the largest buyers of gold in the world market. The desire for the metal arises from the point of view of possessing attractive jewellery and security in times of difficulties. Also, gold is divisible unlike real estate and highly liquid. It is easy to bequeath and less cumbersome in terms of transferability. 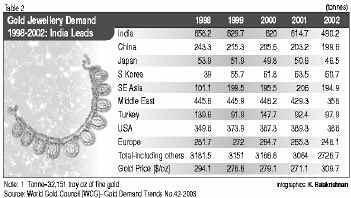 Table 2 shows the demand for gold in the last few years by various countries. India accounts for nearly 20 per cent of the world demand and the picture has been similar for the last 50 years or so. The stock of gold in India is estimated at 10,000-40,000 tonnes. But, at the same time, the younger generation is not much inclined to gold ornaments and jewellery largely remain in bank lockers. If the son or daughter goes abroad, the elders, paying rent annually, keep the gold in the bank lockers. Given the demographic shift and social security requirements during old age and the stock of gold ornaments, onecanthink of usingreverse mortgage instruments to utilise the gold and provide pension annuities to individuals and survivors. To a typical house owner, a mortgage looks like the opposite of a bond. A future homeowner usually will sell a home mortgage to generate immediate cash to pay for a home, obliging him to make periodic payments to the mortgage holder. The standard mortgage is structured so that equal monthly payments are made throughout the term vis-a-vis most bonds, which have a final payment, equal to the face value at maturity. Most standard mortgages allow for early repayment of the balance. Mortgages are not usually thought of as securities, as they are written as contracts between two parties, for example, a homeowner and a home finance bank. However, mortgages are typically `bundled’ into large packages and traded among financial institutions. These mortgage-backed securities are quite liquid. In the US, reverse annuity mortgage is gaining popularity among elderly homeowners. It involves (typically) an elderly person entering into an agreement with a financial institution such as a bank. The individual receives a lifetime, fixed monthly income in return for gradually giving up ownership of, say, his home, which is substantially debt-free. The financial institution gains title to the property, at the owner’s death, which it can sell for a profit. An interesting variation has emerged recently. The homeowner obtains a loan on the security of his or her home. A portion or all of the loan proceeds is used to purchase an immediate life annuity. When the elderly person’s home is sold because of death or otherwise, the loan is repaid from the sale proceeds and the individual would have enjoyed a lifetime income from the annuity in the interim. The heirs of the elderly may decide to pay back the debt and keep ownership of the house, if they so decide. In other words, reverse mortgage effectively allows a person to annuitise his house. He decides to receive a fixed monthly payment for the rest of his life. It is tax-free because it comes in the form of a loan. It is due upon death of the surviving spouse and settled with the sale of the property. During the time of mortgage, the house is owned and used by the person. The monthly payment received is computed using standard annuity methods that take into account the age of the person and life expectancy. In addition, the current and projected future value of the property and the amount of equity on the house a person wishes to assign to the loan company are considered. For example, a person may choose to take the loan (annuities) against only 50 per cent of the equity stake in his house. This would obviously cause a reduction in the size of the monthly cheque he receives. A person may want to maintain some equity in his property, so that he can bequeath a portion of it to his heirs. If property prices decline after one takes out the loan, it will not affect the reminder of the estate. In such circumstances, the lending company bears the loss. This is similar to the traditional annuity in which the insurance company bears the loss of continuing annuity payments in the event of the person living beyond the `actuarially’ estimated lifetime. A loan mortgage is a non-recourse loan. This means that there is no personal liability to the person or his heirs. No matter what, the lender can only look to the property for repayment. Repayment is due after all homeowners permanently vacate the home (die, sell, or permanently move out). That payment comes out of the equity in the home or by other means agreed upon. If there is excess equity, it goes to the person or the heir. Typically, the property is sold and the loan repaid. Or, if the heir so wishes, he can repay the loan and keep the property. The money received can be used by the person to payoff debts, deal with financial emergencies, travel, increase monthly income, pay for home improvements, help children or grand children or establish a cash reserve for future emergencies. It is available for those above 62 years in the American context, particularly for being eligible for housing and urban development (HUD) reverse mortgage schemes. Schemes using gold ornaments as the underlying asset can be introduced and the same offered by the mutual funds/banks/proposed pension fund providers and life insurance companies. It can be used not only as an annuity for pension purposes; also for credit delivery purposes if appropriate mechanisms/regulations and instruments are evolved. It would go a long way in enhancing the usage of gold stock available with households. It would also facilitate the credit requirements of proprietorship and partnership firms and help in providing pension annuities to the self-employed, which are not covered by any retirement benefit schemes. Several legal and other issues need to be sorted out before introducing reverse mortgage on gold ornaments. There will be turf issues. For instance, life insurance companies may claim the domain on the plea that since the lenders need to pay the instalments over the lifetime of the property owner, the transaction is governed by the Insurance Act. But if the transaction is viewed as an investment activity, since the acquisition price is paid in several instalments over the lifetime of the property owner, any financial institution can deal in reverse mortgage. Banks, mutual funds, life insurance companies and proposed pension funds should compete on a level-playing field in this reverse mortgage market. Institutions belonging to non-banking financial sector (NBFS) are also suitable to enter into such reverse mortgage since they have the market knowledge, particularly on households, and their gold holding and monitoring mechanisms are praiseworthy, as seen from their expertise in transport vehicle/consumer goods lending markets. They would be able to assay the gold and also assess the issues of ownership and equity component. Several studies need to be undertaken by the RBI and the proposed Pension Fund Development Authority (PFDRA) before introducing the reverse mortgage scheme, to understand the nature of amendments needed in the existing laws such as Public Property Act, Income Tax Act, Insurance Act, Stamp Duty and Registration Act, Money Lenders Act, and so on. Centre-State cooperation is required in bringing in the changes. It may be appropriate for the Ministry of Finance to take up this important and innovative task as a major test case for enhancing retirement benefits to the self-employed without spending from the exchequer and, at the same time, bringing the stock of gold available with households to productive use.